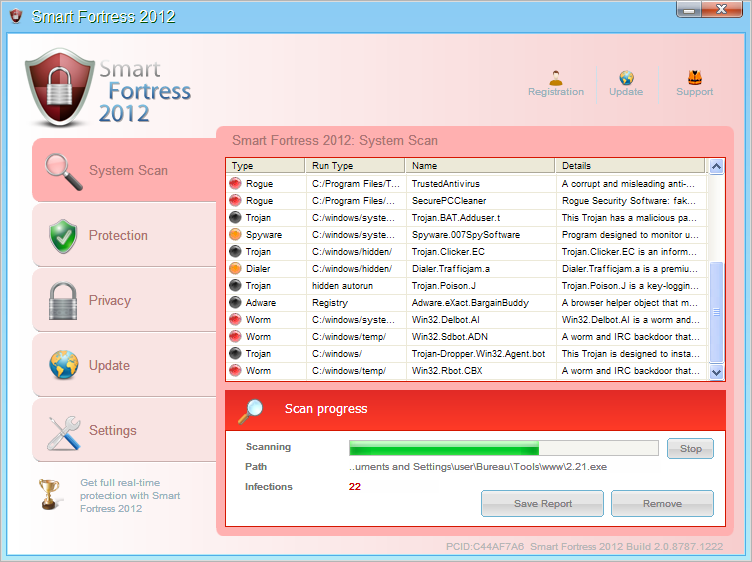 Smart Fortress 2012 is a fake anti-spyware tool. It displays fake alert messages, prevent execution of legit programs and detects inexistent infections to scare users. If you get infected, follow Malwarebytes Removal instructions. 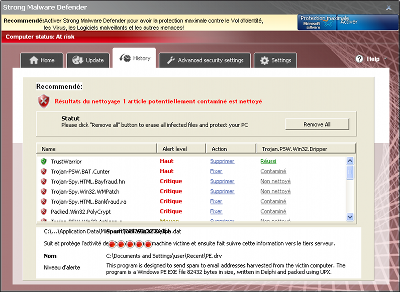 Strong Malware Defender is a fake security software (rogue). 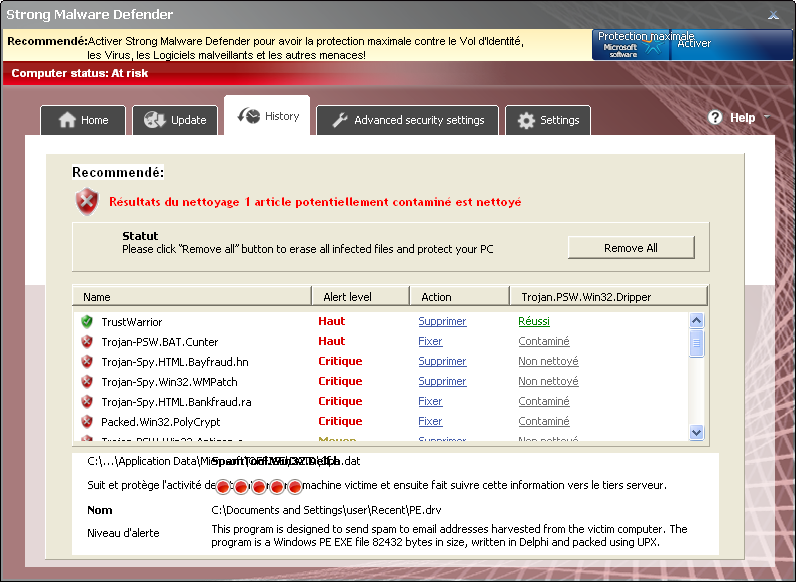 Strong Malware Defender displays a lot of disturbing warning messages pushing users to purchase a license. If your PC is infected with Strong Malware Defender, use MBAM to remove the infection. 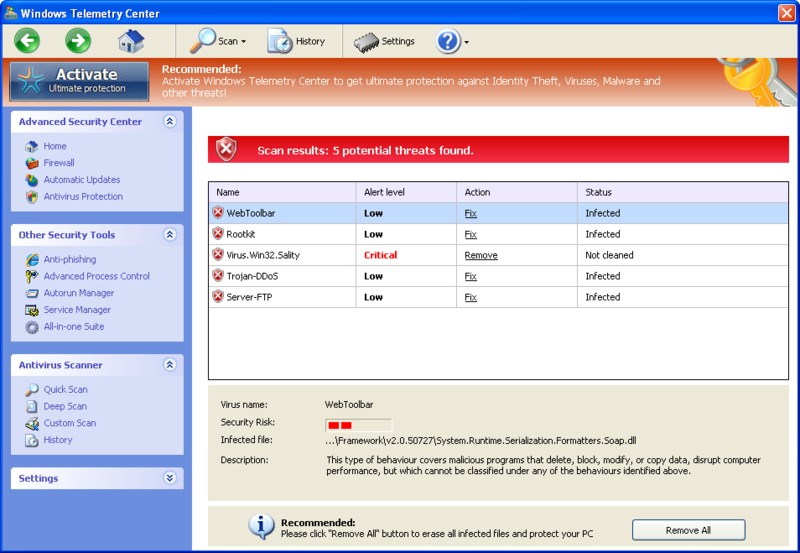 Thanks goes to Born Slippy for the file. Antivirus Protection is a fake security software (rogue). It is from the same family as: Security Monitor 2012, Security Solution 2011, Antivirus Antispyware 2011, AntiVirus System 2011, Security Inspector 2010, AntiVirus Studio 2010, Desktop Security 2010, Total PC Defender 2010, Desktop Defender 2010, Contraviro, UnVirex. 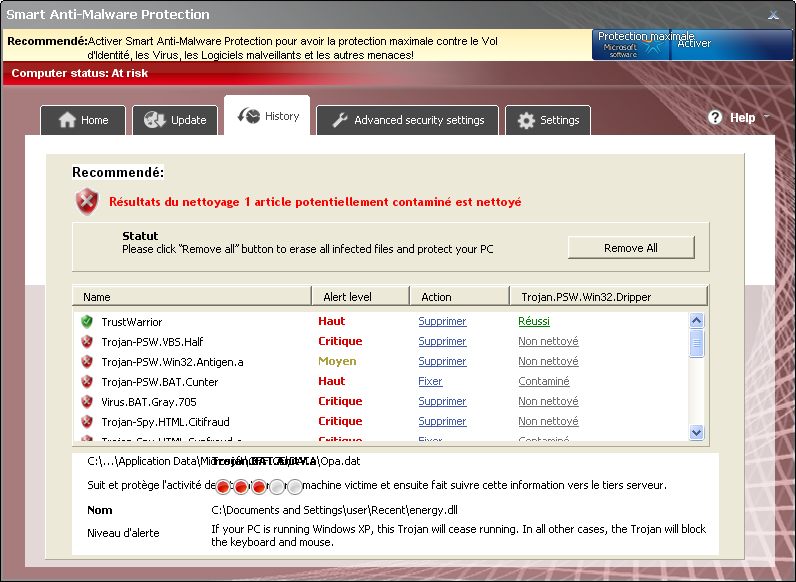 Antivirus Protection displays a lot of disturbing warning messages pushing users to purchase a license. 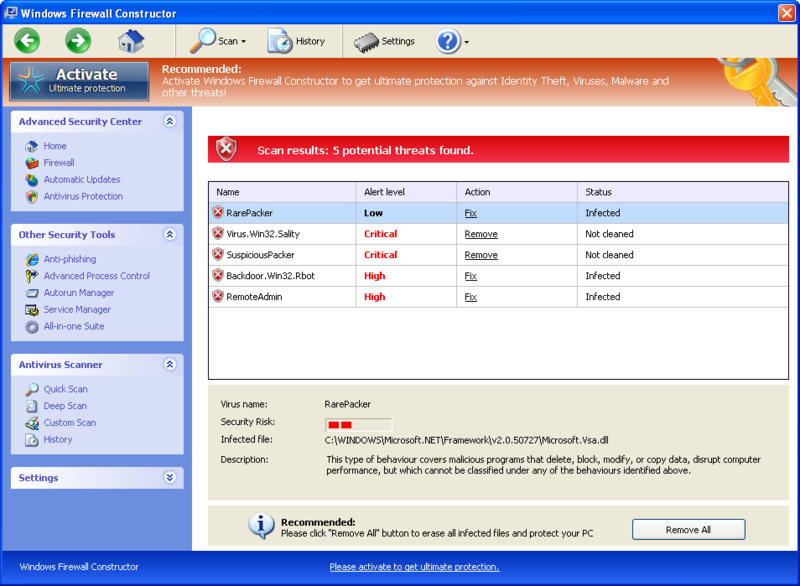 Windows Protection Master is a fake Antivirus. This rogue displays fake alerts to scare users. Security Scanner is a fake anti-virus tool. It is a new version (new GUI) of Security Shield 2011, Security Shield, System Tool, Security Tool, Total security 2009, System Security rogue. Internet Security is a fake Antivirus tool. It is from the same rogue family as Privacy Protection, Security Protection, Malware Protection, Spyware Protection, Advanced Security Tool 2010, Security Central, Home Personal Antivirus, XP Deluxe Protector, Win PC Antivirus, Win PC Defender, XP Police Antivirus, IE-Security, WinDefender 2009 and Total Secure 2009. If your PC is infected with Internet Security use MBAM to remove the infection. Smart Anti-Malware Protection is a fake security software (rogue). Smart Anti-Malware Protection displays a lot of disturbing warning messages pushing users to purchase a license. If your PC is infected with Smart Anti-Malware Protection, use MBAM to remove the infection.